Hello My dear Friends , I am @alishannoor & @upmewhale Owner As well. Most of whales knows about me that i am student But I am volunteering my time and efforts today on behalf of individuals with mobility issues with in Pakistan. 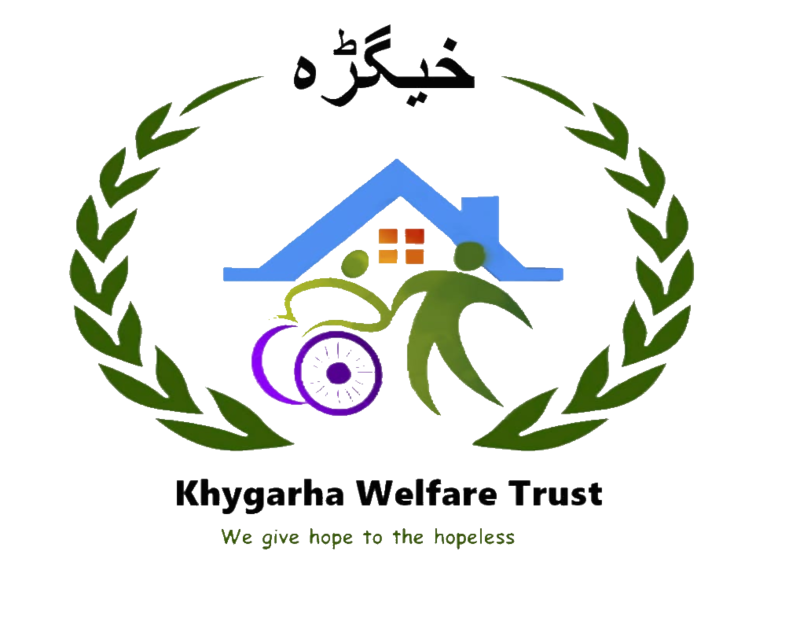 Through my work with the **Khygarha Welfare Trust**, I am able to assist this not-for-profit organization enable the disabled poor of Pakistan lead happier, healthier and more productive lives. As of 2015 the United Nations reported there are 3.2 million disabled individuals within Pakistan with approximately 20% of those individuals having some sort of physical disability. Sadly, many of these individuals have no access to a much needed wheelchair. Despite a cost of Approximately "60USD", a wheelchair is out of reach for many who are most in need. Now you may be asking, how can I help? By donating or by spreading the word to others who have the ability to donate to the Khygarha Welfare Trust, you can change the life of an individual who has lost all hope of a better life. And even better, you can directly participate by seeing needy individuals receive your gift through pictures and videos! Please know that no donation is too small, with each dollar gathered bringing us closer to our goal of universal mobility. You will see first hand the direct impact your donation is making on the face of someone you have enabled. Donations can be accepted through our steemit account @angelsofsteem , where you can find out more about us. I already have a lot of time in steemit and analyzing the people on the platform I came to the conclusion that @chbartist is the most generous person in the community.He give me the idea of sharing my mission (helping disable people) on steemit and by this way we will get a non stop help From whales and witnesses. @chbartist is from the west and we meet on steemit few months ago we make a good friendship, he is like my brother, he treat all people alike and he never use his brain but he like to work from heart,he never attack any one which is the great example for steem. Why are not you a candidate for witness? You can donate your profit, and it donates moreover to many people on steemit. I think that with the experience of the @chbartist and also by the person he is he would be of great value as a witness to the steemit. And it’s a request to many of the whales and witnesses that if they are agree with my work in near future that they can trust me that there money will go to a needy person they can share some small portion of their earning to the trust account, where everything will be transparent and all the proof will be shared in a video and pictures along with the name of the donor .No donation is small even a dollars can get us close to t our goal. Thanks you. visit @alishannoor profile to check the proof of donation! Or leave a comment below ,Feel free to resteem and let any one know and help the world. Hello there! I think you said your name was Adil? If so- That is my son's name! :-) A great name! Nice work in helping out disabled people. My son Adil is 23 years old and has Cerebral Palsy since birth. He is in a wheelchair, he cannot walk, sit up or talk . When he was younger and out grew his wheelchair I always donated it to an organization as some other child could use it. This is a great idea and I wish you well! Thanks for the great video! I am 24 Years old I like to help disable people first i have meet a child was almost 13 years old he was very poor his back was fully damaged, Because he was always in his bed After that i have decided that we will Do our best to provide wheelchair to disable poor people i am very hopeful that i will get much help though out our community but it need time for people to build trust and they will check my work too. I wish the people who read this review not only gave your upvote in this post to help in this cause but make a donation by making a transfer of any amount.@angelsofcteem. Thanks for your kind words. We will do our best. Your words and actions both flatter and inspire me. It is people such as yourself that make me feel proud to be part of the Steemit community. Please know your monetary support will make a huge difference in someone's life. And thank you so very much for your ringing endorsement of my cause. Great to have guys like you here. @alishannoor seems like we are from the same place. Awesome, resteemed. Great job brother! Awesome inixiative, i support you with my tiny upvote. Wish that more people help the poors and the ones that need support. Thankyou very much, i wish you the best. Amazing work! You should get in touch with @charitycurator for more support!! Time will tell that who is right and who is wrong I will Do my best What make me feel better All the fingers of hand are not same ! And every one is not a cheater my brother that is what i believe. время покажет?! но никто этого не увидит так как мы далеко от реальности и друг от друга. I support your kind heart. Charity is always like the candle in darkness for needy people. I am doing my very best soon a new video will be uploaded when i get donations. Great cause. My homie @holysmoke777 helps the homeless with their rewards. this is what i like the most that we should serve our duty in helping others appreciated his work ! What a great heart all the people who donate for this beautiful cause have, it is great joy to see people who raise their voices for the welfare of the most needy. God bless you. Good initiative friend, more posts like that! Ayudar a los mas débiles siempre hará sentir bien al ser humano es parte de nuestra naturaleza..! I was very much overwhelmed on seeing this posting. My dear friend, this initiative of yours is really very, very wonderful. And yes @chbartist Sir is a wonderful person. His posts are the directions of our LIFE. So two magnanimous persons joined together for a noble cause. This post has been resteemed to my 10,400 followers as my little support. Excellent initiative. Charity gives us a great reward, knowing that we are doing the right thing in the help of those who need it most. Congratulations!! I support your kind heart. Great work @anglesofsteem you are doing a great thing. God bless you and you are really inspiring us on steemit. I sport you in this context and really agreed...!!! Please be sure to post the proof of the wheelchair ASAP, i think steem needs a sort of gofundme type front end, if we dont have one already. I will Be providing 100% proof of each steem donated to my charity even i will make full video from start to end i want to help people who need our help for those needy people i will do my 100% , THanks for showing interest Feel free to give us suggestions how we can improve . I love what you are doing, for those people who really need them, how I would like to have people like you in my country Venezuela. It really is a great gesture, full of bonda and generosity is incredible what they do. Not only are the angels of steem but they have also become the angels of other people and that is the best. "Doing good without looking at who". I want to make some one feel special with the help of my whales and each member I know that with time i will be successful in my mission we live for our self always lets live for others as well Then we will feel what it actually give us!it will make us feel special one day. Very well ! !, sincerely, this world requires more people like you to water the voices to do good, to donate, to give to people who need it, keep that up! yes in 2 days we will donate the new wheelchair with the donation we got this time i am very happy to see people are trusting our work this is unbelievable help we are getting for poor people, i love steemit and steemians . Muy bien amigo, te mereces mi voto. ✅ Disfruta de la votación! ¡Para un contenido más sorprendente, siga a @chucho000 para tener la oportunidad de recibir más votos gratis! Good idea and good post. Thanks. Si hubiera más personas así en este mundo todo seria genial. Excelente iniciativa. Gracias por tu bondad.. There are millions of people working but they support and motivation brother! This world is Not only fill of bad peoples But we should take a start by our self first that way we will make it better. @alishannoor purchased a 87.32% vote from @promobot on this post. That is a really noble action! This post has received a 23.58 % upvote from @boomerang. What a great cause, thanks for bringing this to light. Wow what a great idea good on you @! This is a great work!, to help the needy ones, there is much blessings in given than receiving. Awesome i support you with my tiny upvote. Thanks A lot Brother No matter How Much you have help us But It Only matters you show your interest in our Work! Himmat Mardaa Madad Khuda !!! Asal mein Himmat kerny ki Zarort hai agar koi karna Chanai, I Appreciate your! Good Work!~ Thanks once Again for good work... apka ye kaam kafi logo ko Sabaq Dai ga. It's a great work, I hope you have a lot of support in steemit. Blessings!. I am happy to see such support from All of my friends Here ! Please get in touch and wait for our next post all will be explained there! You will see where your help is going ! Post daily - a short update with even one photo will make a difference. Steem is more likely to help if they see you re active here. check into @fundition and go into their discord. You have the type of project they sponsor and someone will help you set up to get funding. set up a twitter account and start tweeting your posts with #steem as a tag. Many people are out there looking and might find you this way. Best of luck for your worthy project. I wish the people who read this review not only gave your upvote in this post to help in this cause but make a donation by making a transfer of any amount .@angelsofsteem. Hello @alishannoor, I am from India and quite moved by your work and initiative. God bless you and all the best in reaching out to people in need! Upvoted. Spread the word via twitter too. I will start spreading the word. I wish the people who read this review not only gave your upvote in this post to help in this cause but make a donation by making a transfer of any amount@angelsofsteem. Wonderful project! Thanks for showing up and putting your angel wings on! Hay un dicho que reza, el que no vive para servir no sirve para vivir, es por ello que no importa cuan poco o mucho se puede dar si ello contribuye con devolver una sonrisa a un rostro afligido, descorazonado, desesperanzado, esto verdaderamente no tiene precio. Muy bien hecho.